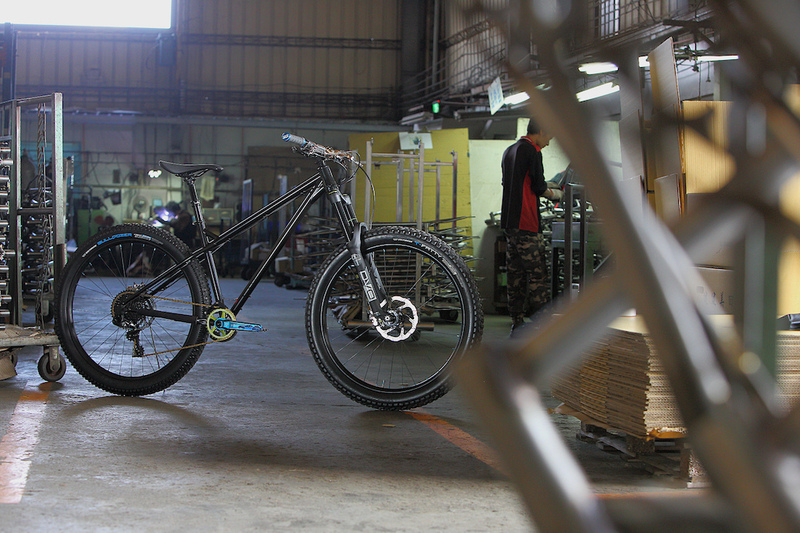 The Rukai is an agressive 27.5+ / 29 cr-mo hardtail frame. 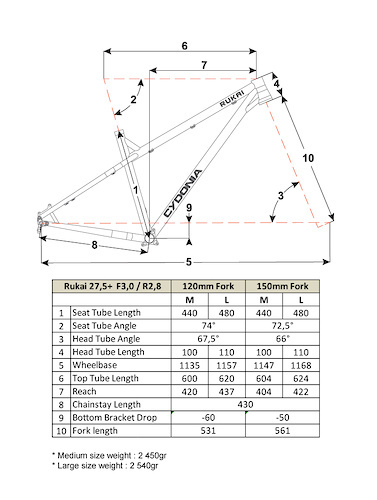 After beginning with mountain bike components, we are introducing our first frame, the Rukai. 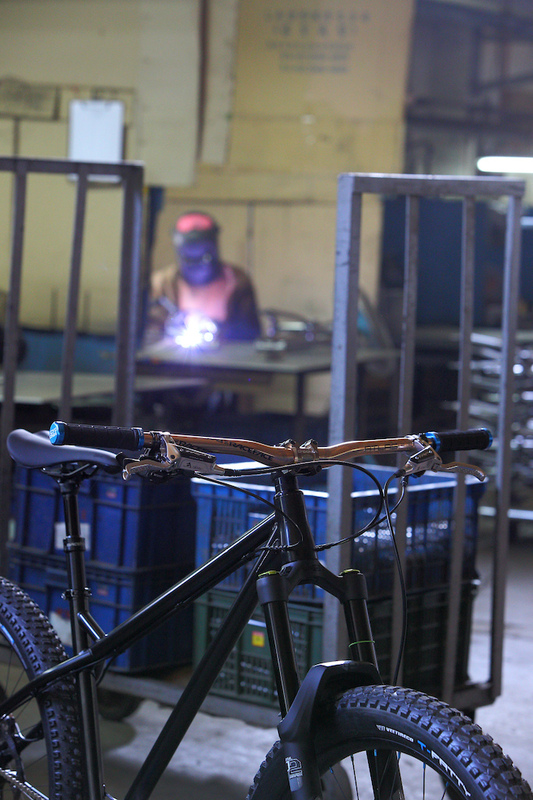 We have developed the Rukai to be a good versatile mountain bike for its price point. 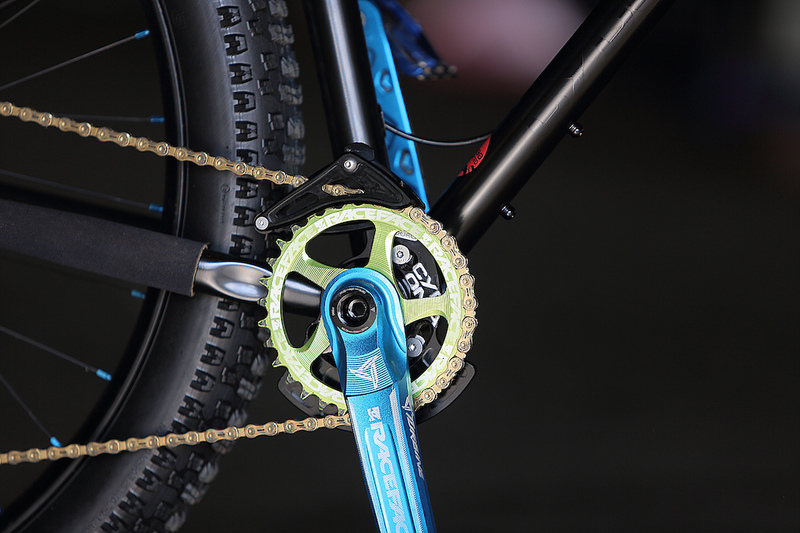 Able to go up trails without being penalized by its weight, and to have fun on the descents. 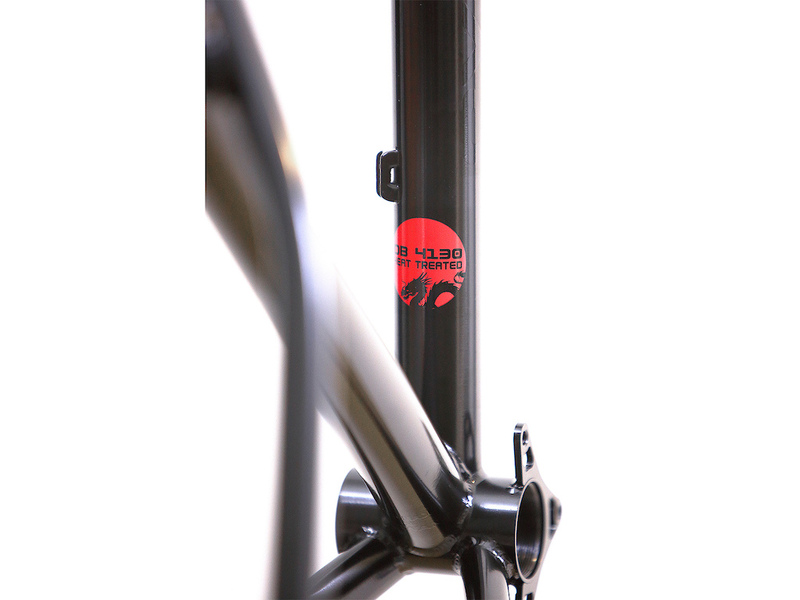 This 27.5+ / 29 All-mountain frame has an attractive price point and worldwide shipping by TNT on the webstore. Weight: 2450gr in M size. 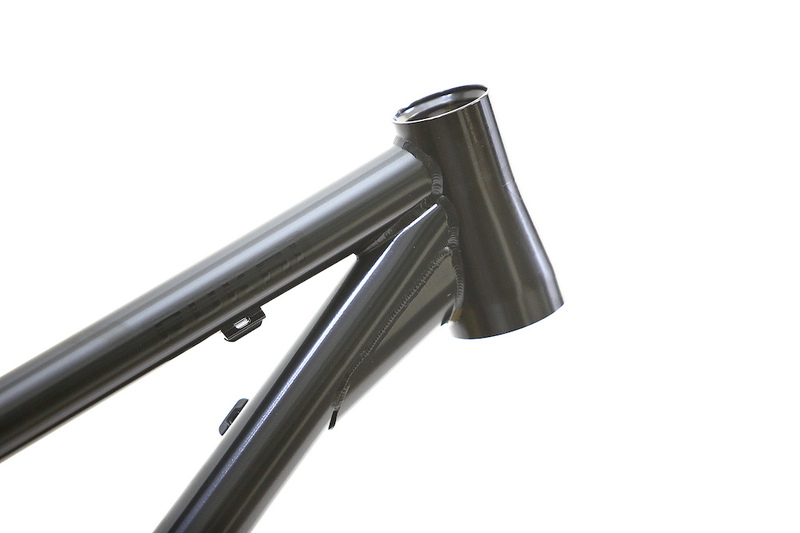 A smooth looking frame comes with a CNC integrated head-tube. We have spent months with several iterations of prototypes to end up on a good weight-resistance-flexibility-rigidity compromise. 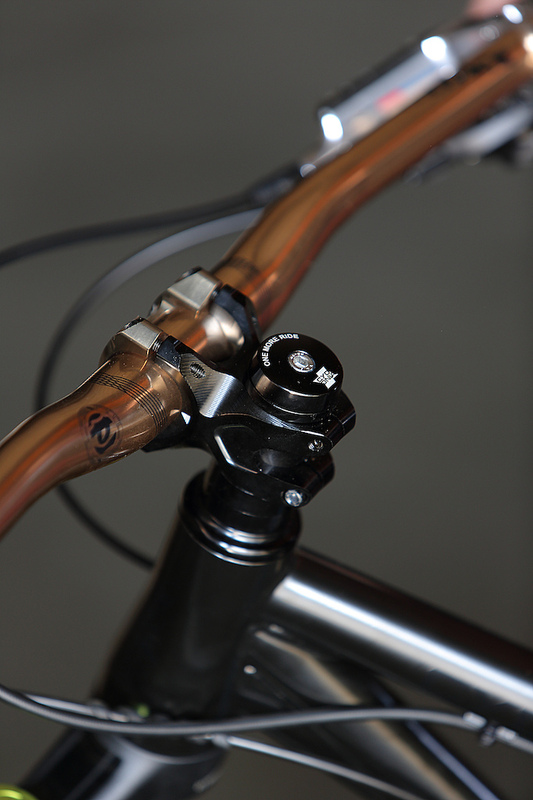 Note the ISCG mount around the BSA bottom bracket. 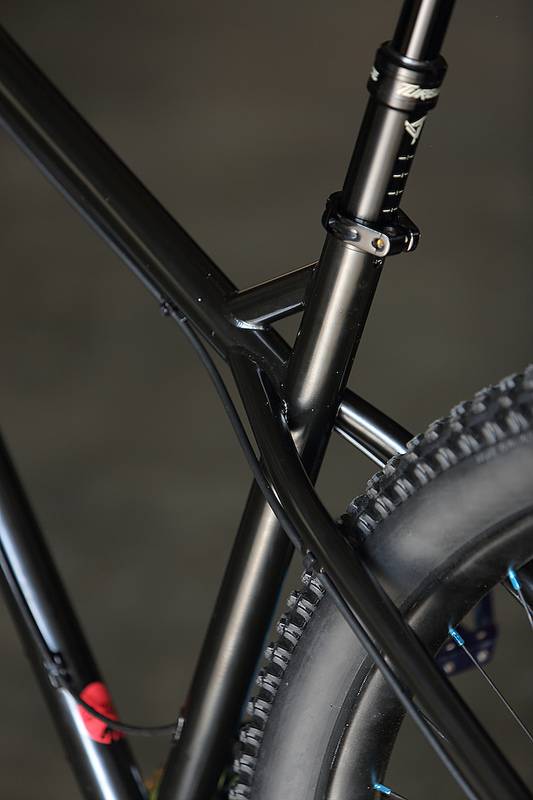 Avoid headaches with external routing but keep a nice integration with a stealth dropper post. 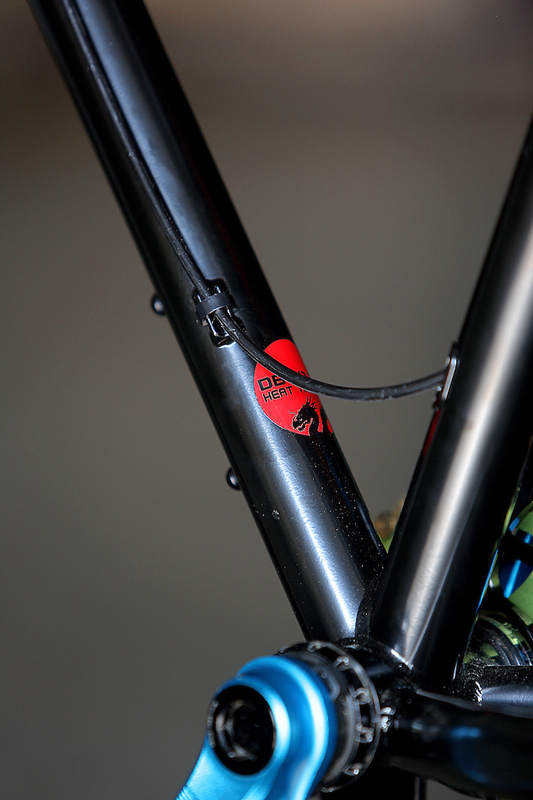 An example of the complete bike coupled with a DVO Beryl fork. 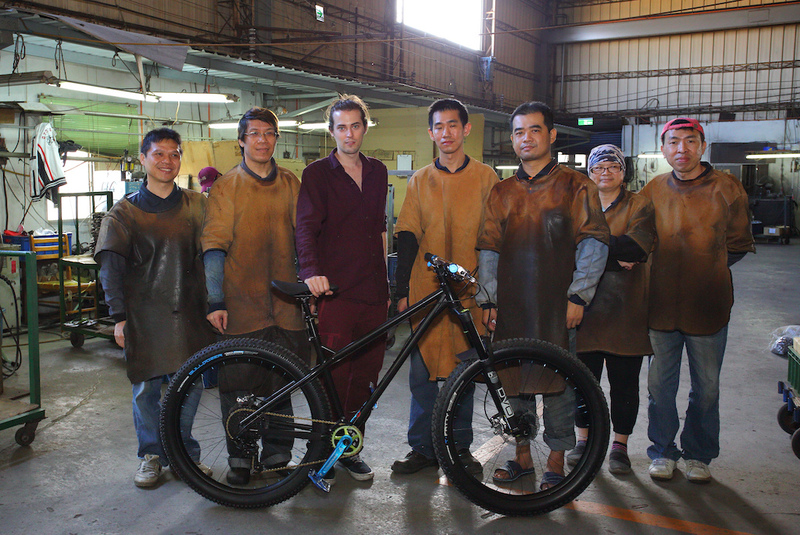 Small batch production, hand-crafted by those Taiwanese welders & designed by William, a French expatriated in Taiwan. 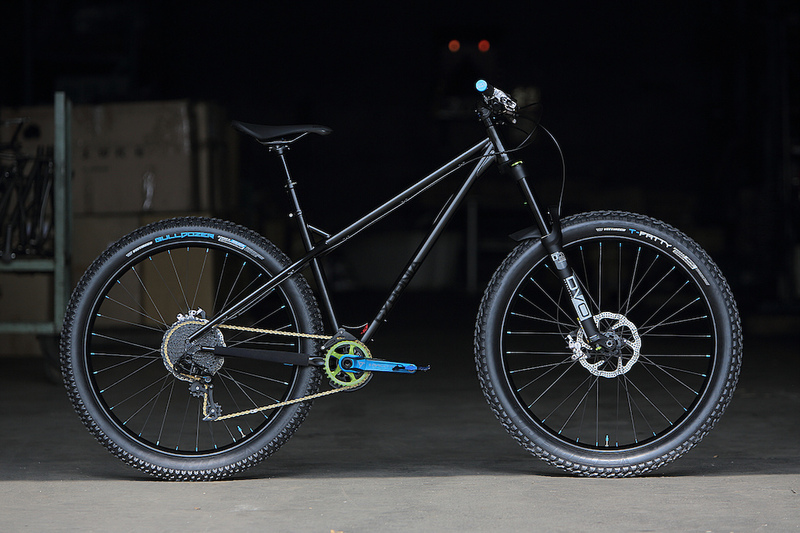 Our full aluminium Martyr Enduro chainguide & the TRP G-Spec Quadiem make the Rukai a nice machine to ride. 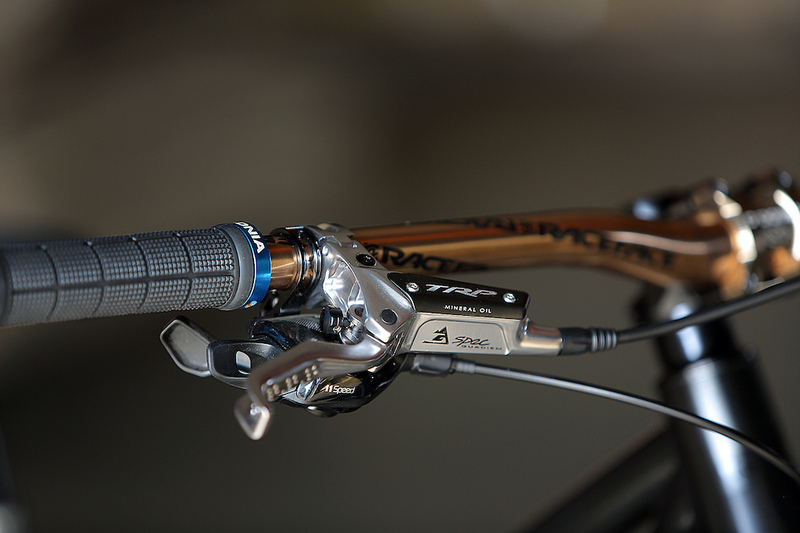 We offer Enduro & DH components, such as this full-cnc Alishan stem. 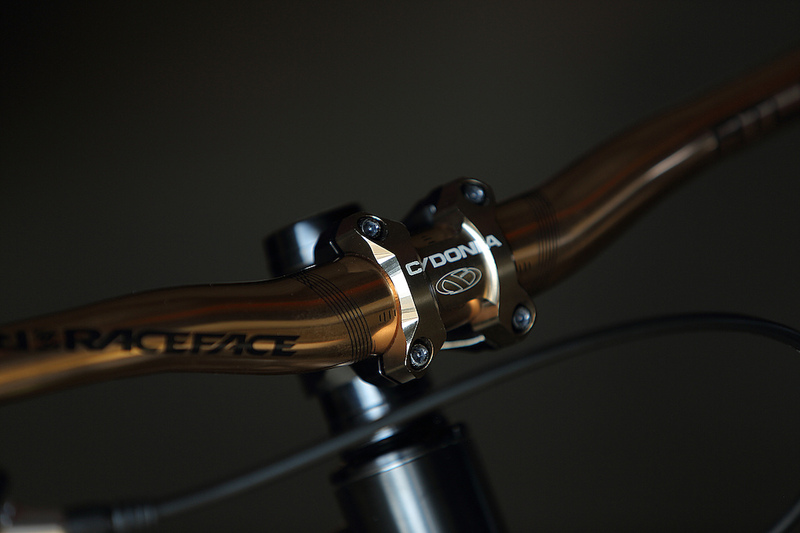 Cydonia was launched in 2013 by a French Industrial Designer & mountain bike lover, William ORTIN; when he decided to move to Taichung City, the worldwide bicycle capital, in Taiwan. 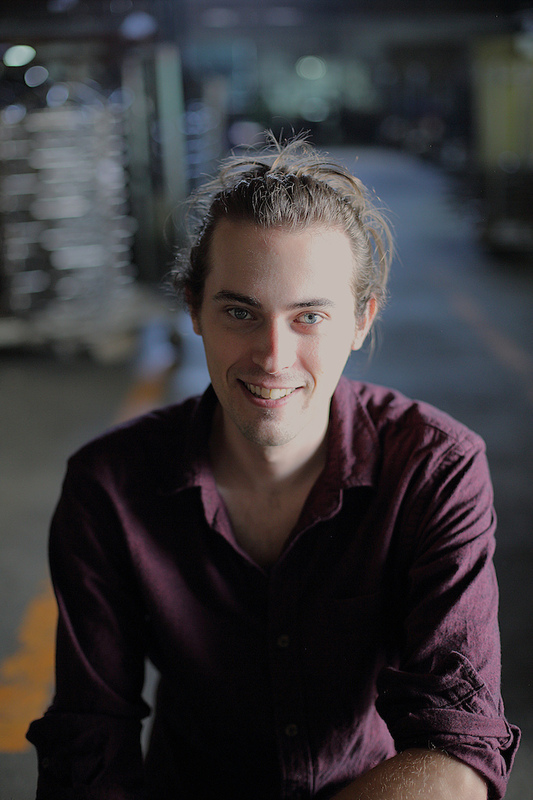 There, with his company Frenchy Trading, he works in the core of the Bicycle Industry, as 80% of local bicycles factories are less than 2h away from his office. This advantage allows Cydonia to develop in-house most of its products and spend time in the factories during the development stage, and follow the suppliers way smoother than from Europe. It gives a real identity to the product; and not an umpteenth generic product shared under different brands. Passionate by industrial production technologies and metals, Cydonia team design products minimalize as most as possible the plastics.